I've discussed DNA a fair bit on this blog, since the treatments I am undergoing work by damaging DNA. You probably know that the two men who received the credit for the elucidation of the double-helix structure of DNA are James Watson and Francis Crick. 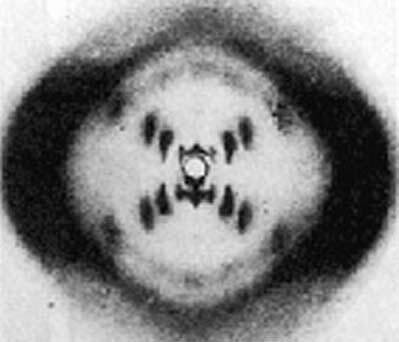 But they probably couldn't have discerned that structure without the x-ray crystallography work of Rosalind Franklin. Unfortunately Rosalind did not receive recognition for her contribution until after her death (she died in 1958).